Above: Fish lorries waiting to uplift whitefish from Peterhead fishmarket – processors and fishermen rely heavily on road transport to distribute fish throughout Britain and into Europe. At a time when the level of quayside supplies and consumer demand for whitefish continue to rise, processors are facing mounting difficulties in terms of being able to bring two essential links of the supply and retail chain together, due to the high costs of road transport. 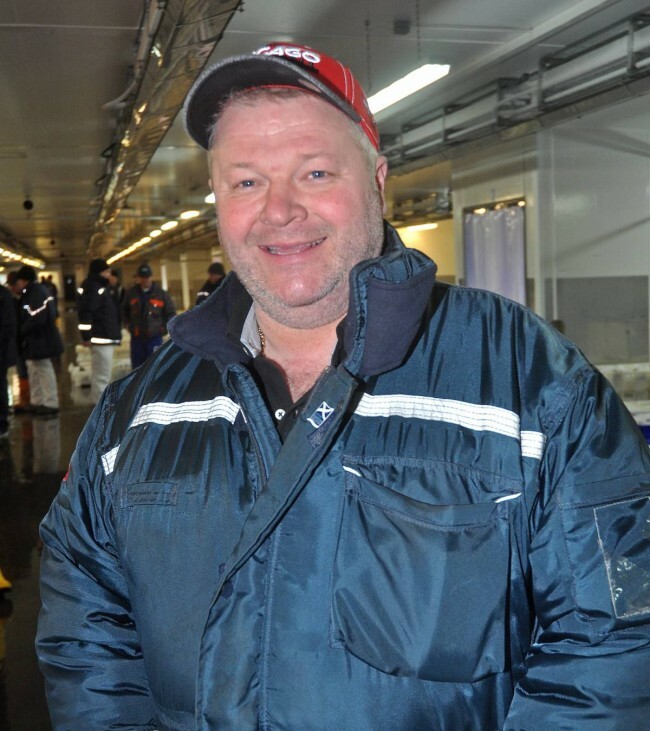 Peterhead fish merchant Will Clark said: “Instances of processors losing orders due to high transport costs are now commonplace, even though they are putting prime quality products out at rock bottom prices, in an attempt to secure much-needed contracts. 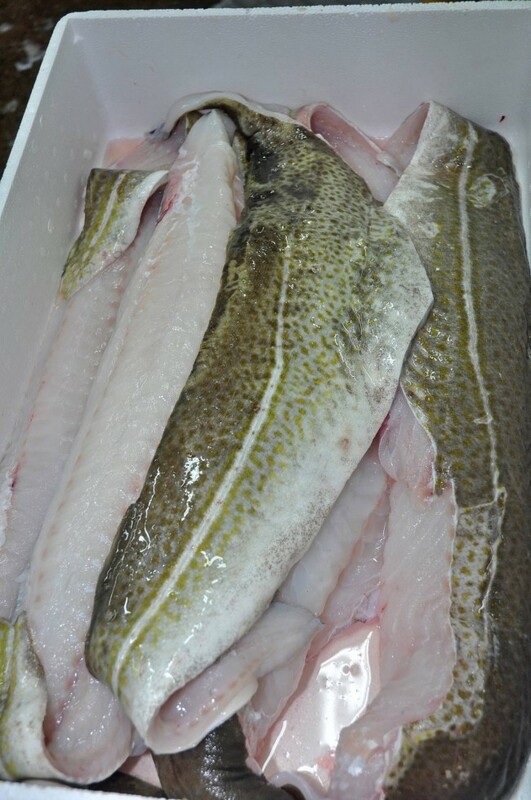 In a year in which the TAC for MSC-accredited North Sea haddock was increased by 30% (not including an additional 17% landing obligation uplift), it is in the best interests of fishermen and processors that new markets for this species, as well as others, can be secured at every opportunity. There is no advantage in boats being able to land more fish if they subsequently get poorer prices because processors are not able to meet high transport costs”. Will Clark (MD Wilsea Ltd) contacted Fishing News after reading the news feature ‘Oil prices drop to their lowest level for 12 years’ (Fishing News, 21 January). The well-researched article reported that a wide range of fishing vessels, including beamers, vivier-crabbers, scallopers, prawn/whitefish trawlers and pair-seiners, were benefiting from a reduction of fuel costs of around 62%-64% after the price of Brent crude oil dropped below €30 dollars a barrel for the first time since 2004, during which it reached a record high of €145.61 on July 8, 2008. While pleased that fishermen, on whom Wilsea, like all primary processors, totally depend for their market supplies each morning, are now benefiting from cheaper fuel, Will Clark is highly critical of the fact that fish merchants are not seeing comparable reductions in transport costs, at a time when lorry fuel is at its lowest level in over 10 years. He said: “At the time of the steep fuel price rise in 2007, the government at the time, in conjunction with the Road Haulage Association, brought out a Fair Fuel Tax system by which transport companies could add an additional percentage to their charges. Since then, this has continued to be charged out on payload, currently at 6%. Will Clark – Peterhead fish merchant and MD Wilsea. “Although fuel prices are at their lowest level for 12 years, the marked drop has yet to be reflected in the cost of transporting fish. Why? “In my opinion, prohibitive road haulage costs are threatening what, in many other aspects, should be, and generally is, a highly encouraging time for the fishing industry, which has had to endure more than its fair share of pain for too long. 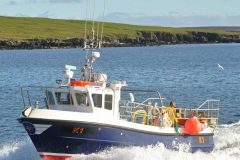 “After a long period of near stagnation, the Scottish whitefish fleet is scheduled to benefit from the highest level of investment for 25 years. This is an extremely welcome development for an industry of which the country should be proud. “Through the measures fishermen have implemented, in little more than a decade, whitefish stocks are now at the healthiest levels that highly experienced fishermen have seen in their lifetime. At the same time, consumer interest in all types of fish and seafood is probably at an all-time high, due to the natural health benefits of a renewable and sustainable food resource. “Clearly, this is welcome news for everyone who is part of the catching and processing chain, of which we are all an integral part. Irrespective of what form it takes, be it restaurants, local fish shops or supermarkets, demand for fish across the full retail spectrum continues to grow. At a time when quotas are also rising, due to the sustained efforts of a forward-looking industry, this potentially represents a win-win situation, as long as the start and end of the supply chain are viably linked. “Currently, this is a major problem and one that, unless addressed effectively, threatens to derail crucial short- and medium-term further growth. “Processors across the UK are currently trying very hard to get back into traditional markets that were lost at the time when the UK fleet was subjected to large-scale decommissioning, whitefish tie-ups and major quota reductions, the combination of which opened the door to imported fish. “At a time when the supply continuity of all main species of whitefish is improving dramatically, there is a big opportunity to promote sales for the long-term mutual benefit of fishermen, processors and road hauliers alike. “However, this chance will be lost if people don’t look at the situation and act responsibly. “Fishermen and processors across the length and breadth of Britain, from Newlyn to Scrabster, and Fleetwood to Lowestoft, rely heavily on road transport. With potentially more fish being moved today than for a long time, this could be a golden era for transport companies if they show willingness to adapt to the current situation. “For the whole supply chain to work effectively, everyone in it needs to be viable in terms of profitability. Equally, though, this chain requires a viable infrastructure for it to work efficiently. At the moment, any profit processors make from fish is going to transport companies. One consequence of this is that buyers are restricted in how much they can bid for whitefish on the market floor. “Given that over 90% of the 25,000 boxes of fish landed at Peterhead in a typical week is distributed, in one form or another, throughout Britain and on to Europe, the volume of movement is immediately apparent. Even allowing for 50% weight reduction due to filleting etc, this amount of fish represents a payload of around 500,000kg that requires around 25 articulated lorries, at a cost in the region of £10,000 per load. “It is also important to recognise that, since fish is now being moved around the country from all directions, rather than just a few well-defined routes, as was the case maybe 15 years ago, back loads are much easier to secure, to the extent that box suppliers in north-east Scotland now regularly experience delays before their boxes are returned from England. Readily available full return loads represent enhanced profit margins. “Millions of motorists in Britain, like vessel owners, are now benefiting from low oil prices, so why are fish processors not able to benefit from similar savings? “Healthy stocks represent a valuable natural resource that clearly has the potential to generate vital employment for many years to come. Skippers are showing their total commitment to the future of their industry by investing in it. In order to gain full benefit from purpose-built new boats, skippers depend on a strong processing sector. Oil-based polystyrene boxes are widely used in the distribution chain and are therefore a significant expense for fish processors. Will Clark also questioned why the price across a wide range of essential oil-based products used in the fishing industry has not been reduced to reflect the drop in value of Brent crude. “A continuing upward trend in the cost of polystyrene boxes, which all fish-processing companies use on a large scale, is another example of significant reduction if the cost of carbon fuel is not passed on to end users. At £950/t, the cost of polystyrene bead is at its lowest level for 15 years, but box prices continue to rise. Will Clark’s comment above about the costs of polystyrene boxes also echoes the complaints of fishermen that the lower costs of oil are not reflected in cheaper nets and other oil-based equipment (Fishing News, 28 January).